Google IO 2013 has come and gone, leaving us tantalized with technologies to come. After covering the show at San Francisco's Moscone Center, we've rounded up our five favorite moments, developments and reveals from the show. This year's IO was slim on hardware. We didn't see a new Nexus 5 or redesigned Nexus 7 tablet, or hear any word about the next iteration of Android. Instead, we found Google strengthening itself by tying together and expanding key services. Upgraded maps, unlimited music, a bigger Google Plus, and of course, Google Glass, which could put all of the search mogul's services even closer than at our fingertips. So dive in and relieve the memories with ou five favorite moments from this year's Google IO. There's nothing new about music subscription services. Whether you're using Rhapsody, Spotify or Xbox Music (formerly Zune), the world isn't suffering from a dearth of ways for music fans to have on-demand access to the songs they want to hear. That said, there's something to be said for being "all-in" with a unified ecosystem. Enter Google Play Music All Access. Described by Google as "radio without rules," Google Play Music All Access includes library, radio, and "listen now" features and is available for $9.99 (around UK£6, AU$10) per month in the U.S. Google will also offer 30-day free trials, and those who start a trial before June 30 will pay only $7.99 (around UK£5, AU$8.09) per month. Users can store 20,000 songs for free in the cloud and listen to them alongside Google's All Access catalog. Google promises that the service will operate with zero ads and also allow for unlimited skips. In our tests we really like the ability to easily manipulate playlists. Of course, many of these features already exist with other services. That said, being able to easily listen to our favorite songs whenever and wherever on pretty much any device we happen to be rocking is a huge plus. Since its inception Google Plus has been forced to deal with the social networking juggernaut that is Facebook. While some love Google Plus, many do not, and the fact remains that ultimately what separates one social network from another is how many of the people who are important to you use one over the other. To that end Google added dozens of features to Google Plus in an attempt to lure folks away from the obvious elephant in the room - Facebook. Seizing on the popularity of photos, Google is making a full-court press in this regard in its attempt to skim users away from Facebook. With its plethora of algorithms, abundance of computing power, and millions of users who supply information to Google - either on purpose or inadvertently - the technology knows a lot about all of us. Google used much of this information in developing its new photo-management utility. What's awesome (and also creepy) is how Google is able to discern which photos in a batch should migrate to the top of a folder and which should be in the bottom. For instance, Google's new photo-management utility can tell which pics are blurry and send them right to the bottom. Google also knows that us humans like smiles, so pics with happy faces will migrate to the front. Similarly, Google knows which people are important to us so obviously pics of them will be more prominent. If there's a downside to this it's that often pics will appear out of order. We uploaded pics from a recent wedding and the pics showed up in Google Plus not necessarily in chronological order. Of course, the first pics we were presented with were the best pics so it's difficult to doubt the logic here. In addition to this form of "computer-assisted curation" Google Plus' photo-management utility also boasts tools that will actually "fix" pics. Google's tools will now remove red eye, soften skin tones, sharpen colors and adjust contrast. A really fun feature is Awesome which will create an animated GIF from bursts of photos. If that's not enough, Google upped the storage amount from 5GB to 15GB per free account and they'll also automatically add hashtags to your pics. Out in the wild, Google Glass is a bit of a unicorn. Sleek, magical and extremely rare. But unlike a unicorn, it actually exists, and we had the opportunity to spend some hands-on time with it. Wearing Glass for the first time, we were surprised with how comfortable it was. The titanium frame is so light you can barely feel it, and when the screen times out, it's like it's not even there. In fact, the best reminder that you're wearing Glass will likely be all the people around you asking to try this novel new tech. Glass is still in the developer stage, so it's not all that feature rich yet. Imagine if you had an iPhone 5 with no apps. That's a bit what Glass feels like: raw, unmitigated potential. It's essentially Google Now for you eyes, with the same powerful voice-driven search and location-based tips. It can also pair with your Android phone to field calls and send text messages. Glass' potential is also somewhat frightening. Privacy is starting to feel more and more like a relic of the 21st century. We were relieved to hear that Google actually designed a lot of Glass' features to keep people from being too creepy with them. Hope the developers won't circumvent that. A lot of people were expecting a new phone from Google. The Nexus 4 is a great device, make no mistake, but without LTE it'll never be the complete package. That's why we were among the many who predicted that Google would unveil a Nexus 5 or a Nexus 4 with LTE. Instead, Google threw everyone for a loop and unveiled a version of the Galaxy S4 with stock Android 4.2.2. That's the version of Jelly Bean you'll find on Google-sanctioned devices like the Nexus 7, the Nexus 10 as well as the Nexus 4. While we love the S4 enough to give it four-and-a-half stars out of five, we go back and forth on Samsung's overcomplicated TouchWiz overlay. It does add some awesome camera options, but the fact that it leaves a 16GB with just 9GB of storage is something to consider. We also wonder what Hugo Barra meant when called it "Google's take on Android?" Isn't Android Google's product? Isn't Android Google's take on Android? Does that reflect the fact that Samsung's Galaxy phones are so popular that most people don't know unaltered Android when they see it? Whatever it meant, it's an awfully funny way to phrase it. And if you're still confused by what a stock Android phone means, check out explainer, Google's Galaxy S4: what you need to know. Google had some fun announcements regarding Maps, one of its most beloved services. The new Maps will be taking on Yelp-like qualities thanks to Google Plus integration, receive an interface overhaul, have its visuals tweaked, and iPad owners will be getting their long-awaited app. This new Maps will work like a lot of Google's services, using your search history and preferences to suggest restaurants, attractions and services to you. Got out for a lot of Indian Food? Maps will highlight the best curry restaurants on the map. You'll also be able to access more information with just a click. Select a location to highlight information about it, as well as any comments your Google Plus friends have to say about. You'll also be able to rate and review places on a five-star scale. These reviews will be tracked using your Google Plus identity. You'll also be able to view 360-degree photospheres of certain locations. If you were one of the many stuck with Apple Maps on your iPhone 5 for a few months, then you know essential Google Maps can be. iPad users are still without a dedicated app, but that all change when the new Google Maps launches this summer. Google promised that this redesign will come to iOS and Android as well to the desktop. Attention early adopters: Visit the new Google Maps preview page to sign up for an early invite to the overhauled Maps. 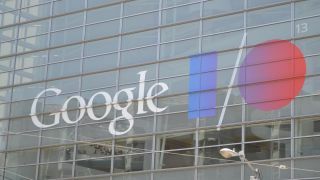 Take a look at our extensive coverage of Google IO.